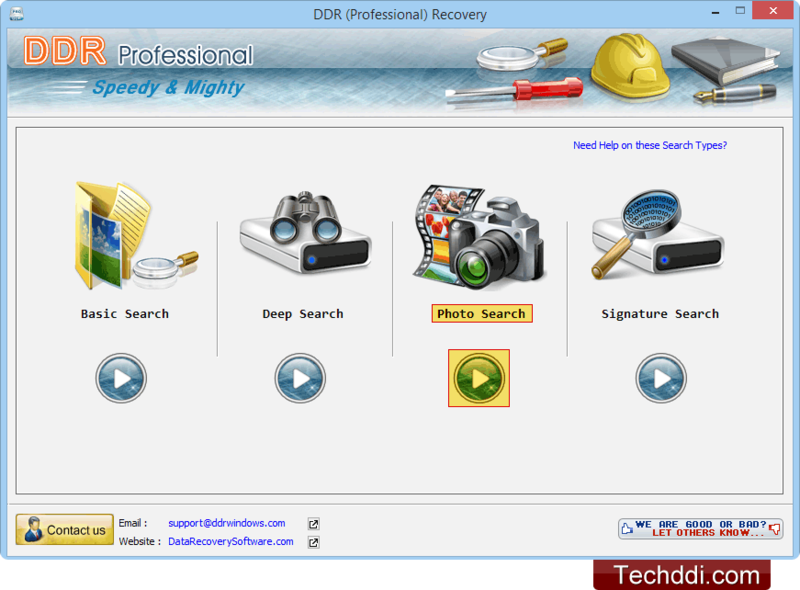 Choose any of the searching criteria to restore lost data. 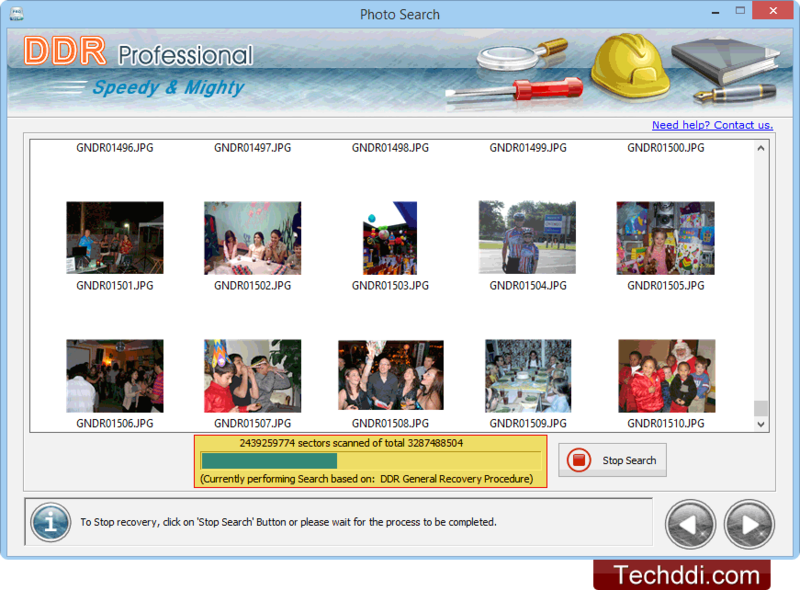 Here we are going to select 'Photo Search' mode for demonstration purpose. 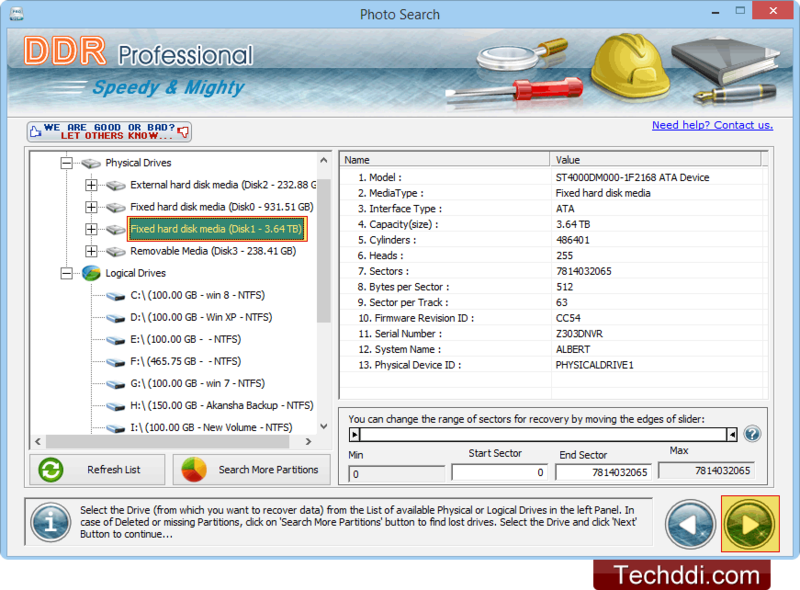 Select required partition drive from left panel, from which you want to recover your lost data. 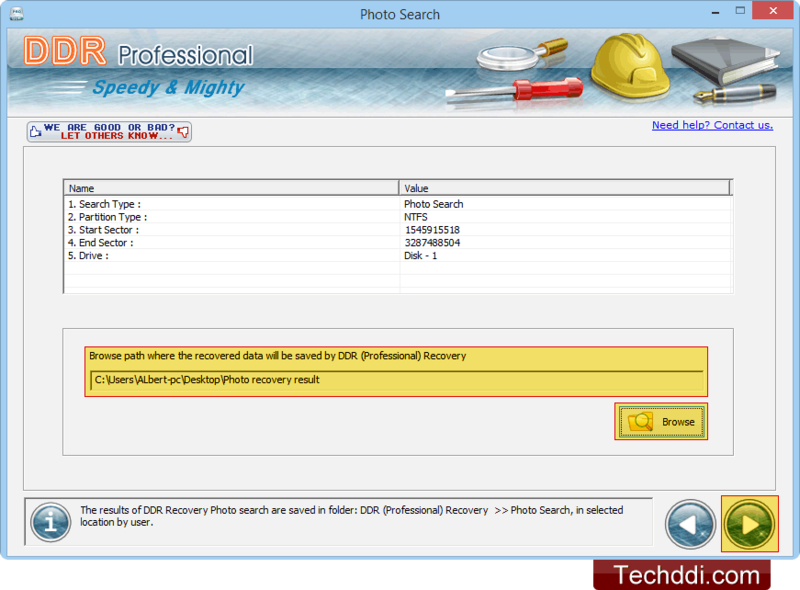 Set sector range to recover data from that range and proceed to next screen. Browse path for folder containing recovered data. Wizard shows current status of data search process. 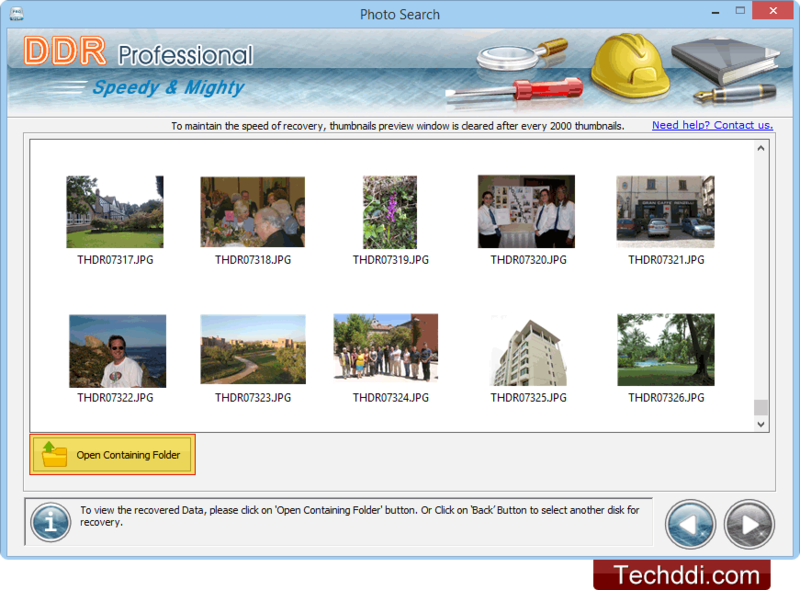 Open containing folder to view recovered data files.